Okay guys, go easy on me. This little bear was my FIRST attempt with amigurumi all on my own! That being said, I’m pretty danged proud of myself. I wanted to make a stuffie for my little boy to be (May is coming so quickly!) and being that his nursery theme is woodland (more on that later) I thought a bear would be just the thing to make! This guy did take a while to make – maybe eight hours total – but in my opinion, that time was 100% worth it. I hope my little guy loves him, and I hope he sticks around a while! Being that I kinda winged this one as I went, I haven’t filmed a video tutorial. Let me know in the comments if you guys really need one! Thread a tapestry needle with your black yarn and embroider a nose and mouth on the snout before sewing it onto the body. I simply sewed running stitches back and forth in the shape I wanted. Sew the snout onto the body. So by now you’ve realized this bear is a bit long and involved, but the result is so darn cute that I think it’s worth tackling! 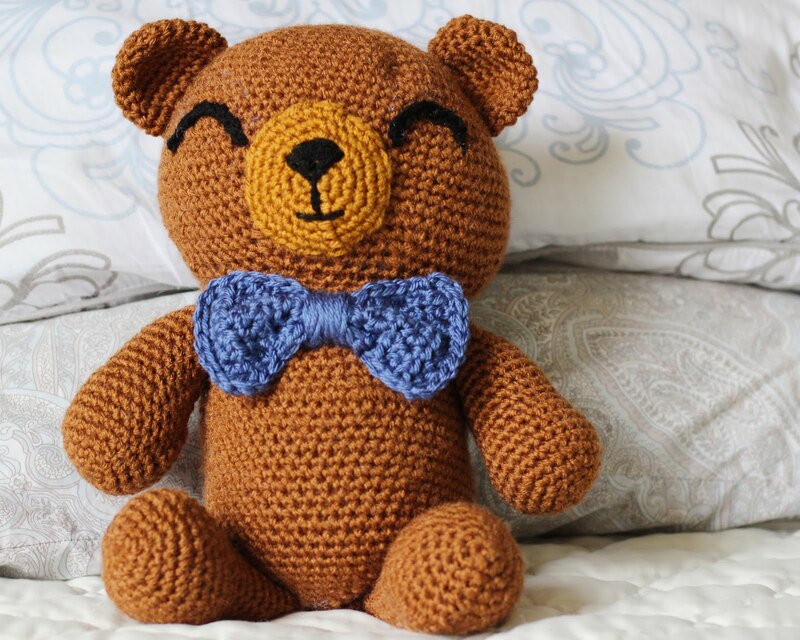 This is also the PERFECT first amigurumi pattern if you are new to the style! 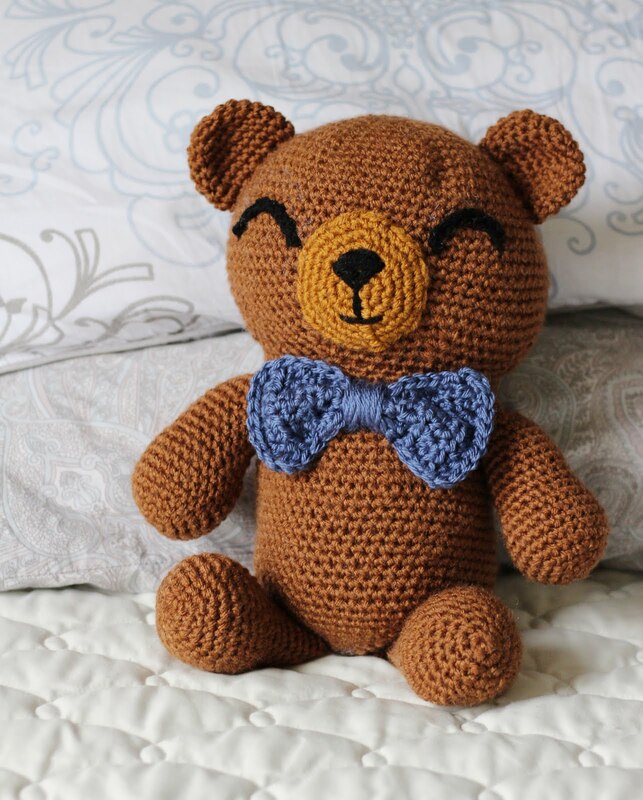 Hope you guys love this little brown bear as much as I do! Love this little guy, make it for my great granddaughter, in pink he’s beautiful. Thanks for sharing.